Medical malpractice can cause harm ranging from minimal to severe. When the malpractice leads to a spinal cord injury, it’s life-changing. Injuries to the spine can result in severe pain, loss of sensation, paralysis or even death. How Can Medical Malpractice Lead to a Spinal Cord Injury? How Can an Attorney Help Me with My Case? If you have suffered a spinal cord injury due to a medical error, you may have a valid medical malpractice claim. Such claims allow you to obtain monetary compensation for your injury to help you pay for medical bills, treatment, medication, loss of wages, and as pain and suffering. But legal claims are complicated and can be overwhelming when you are already suffering physically, mentally, and emotionally. 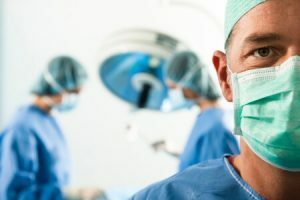 The medical malpractice attorneys at Thurswell Law can help you navigate a spinal cord injury medical malpractice case to reach a favorable monetary settlement. Our experienced lawyers know what it takes to win your case. We don’t want you to suffer further financially, so we will not charge a fee unless we are able to secure compensation for you. Contact Thurswell Law for a free consultation at (248) 354-2222.